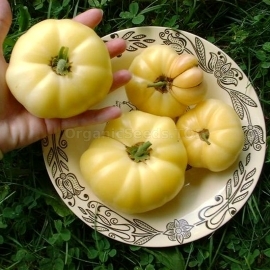 TOP Organic Seeds ❀ Shipping is free for orders over €35. 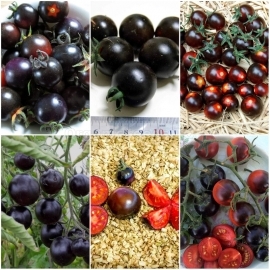 An impressive that produces heavy loads of blue/black tomatoes that have a distinct acidic tang to the sweetness, early fruit color appears red to purple, harvest these cherry tomatoes when fruit is dark blue. 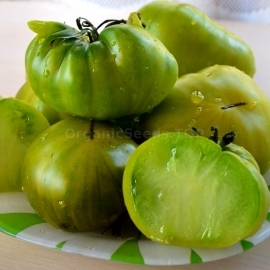 An excellent salad tomato, with clusters of 5 on spreading, hardy vines, with dark green foliage, full-season, high yields of deep scarlet, round, flavorful fruits, green fruits may be pickled, while ripe ones are used fresh or for preserves. 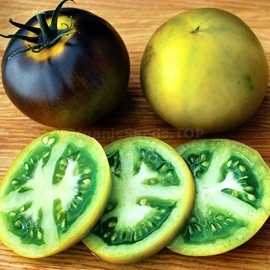 Absolute favorite of the 2017 season, Blue Pear Tomato was truly something to behold. Beautiful and mostly clean pear shaped fruits, are different shades of black and reds, with each color fading into each other. 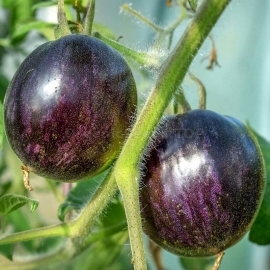 A new Indigo tomato high in anthocyanins. Very productive. 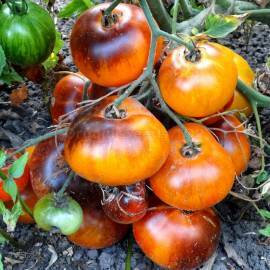 An accidental cross between Blue Gold and an unknown Indigo tomato. 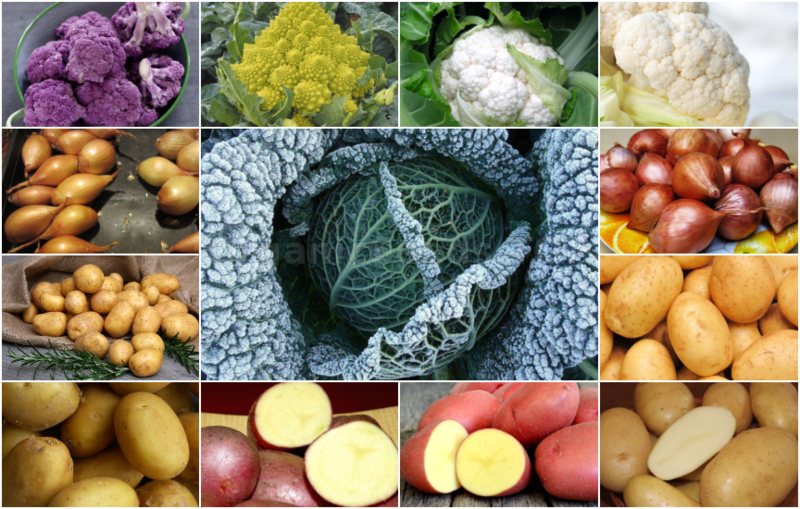 Indeterminate plants have good disease resistance and are productive even in low temperatures. 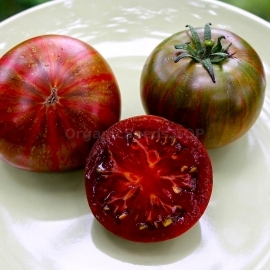 Fruits ripen to spangled brick-red with green stripes, complemented by lots of black anthocyanin, giving this a very striking multi-colored finish. Very good, sweet rich and juicy flavor. 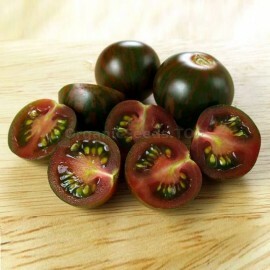 This deep burgundy tomato has jagged green stripes on the outside and solid mahogany-colored flesh inside, sweet and juicy, its flavor also carries the rich complexity associated with black tomatoes. Very productive yellow cherry with an pearlescentness to them. Great looking with a very good flavor that is sweet rich. Everyone who trialed it was pleased. 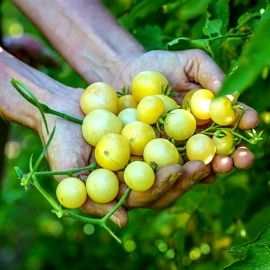 Another variety that has exceptional hang on the vine quality and can be harvested by cutting. 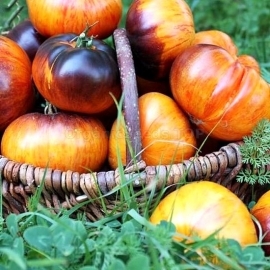 An exotic, teardrop shaped tomato with wild stripes of gold. 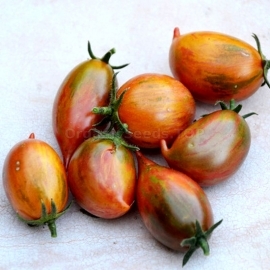 Fruits ripen to pink-red and have a delicious sweet, rich flavor. Nice clusters and healthy bearing. Uncommon and very cool! 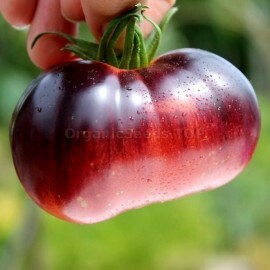 This great “Blue” tomato comes from renowned heirloom/OP breeder Tom Wagner. Color is an incredible blue, with green flesh! We were impressed with its beauty and great flavor! 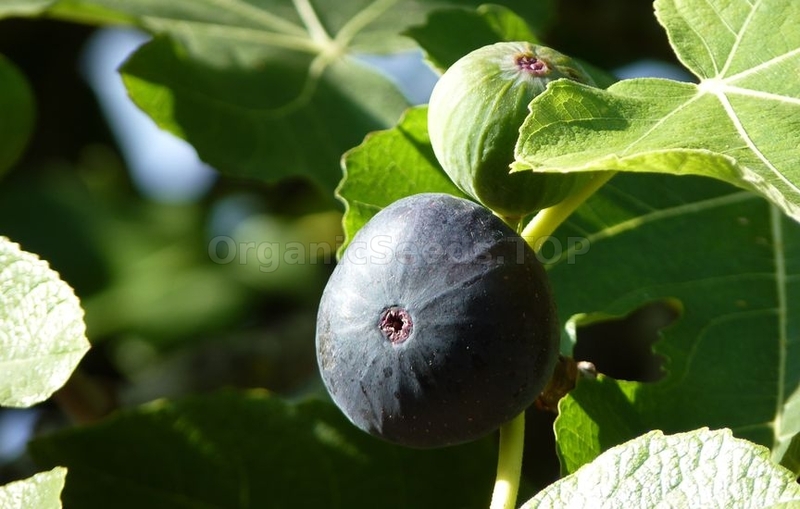 The round fruits are around 3 inches in diameter, and are very smooth. An evergreen tree with fan-like branches and scaly leaves. 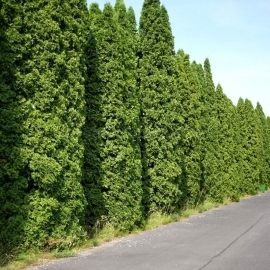 Unlike the closely related species, Thuja plicata (Western Redcedar), it is only a small tree. 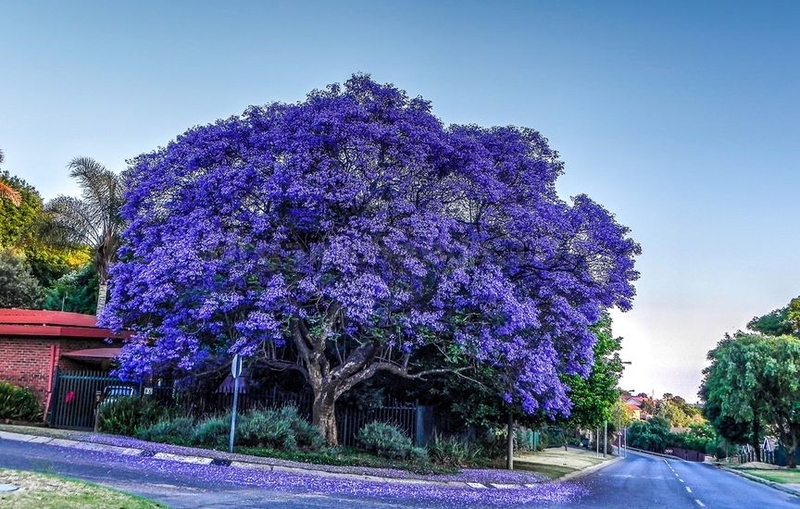 Growing to a height of 10-20 m tall with a 0.4 m trunk diameter, exceptionally to 30 m tall. 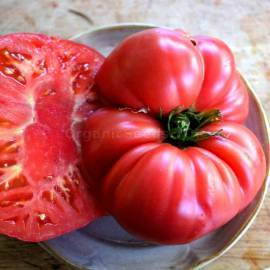 A cross between two beautiful tomatoes, parents were Beauty King and P20 (also known as OSU Blue), very meaty fruit are usually about 7 oz. 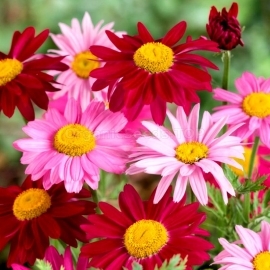 but can vary in size, the surprise comes when cutting open, because the middle is pink! Elongated, large cherries in clusters. 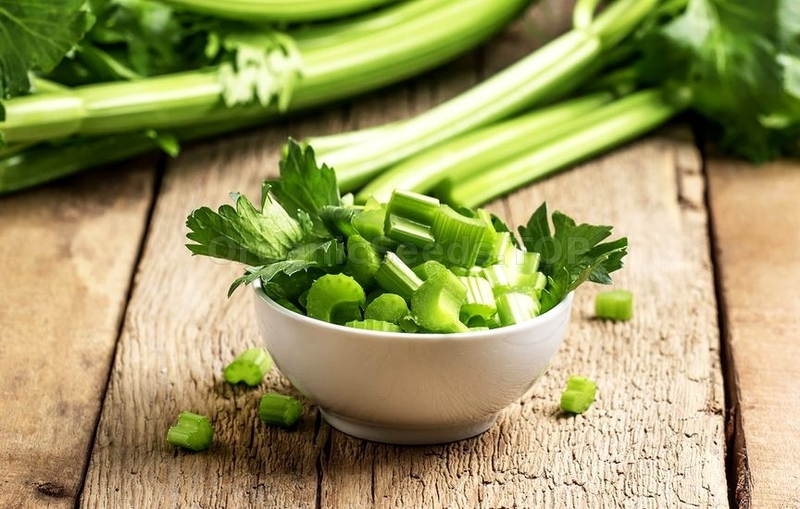 The color (and flavor!) 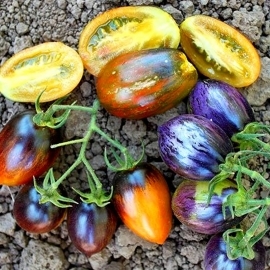 is a full-blown assault on the senses-lavender and purple stripes, turning to technicolor olive-green, red, and brown/blue stripes when fully ripe. Really wild! Annual plant, powerful, branchy, 80 cm high. Flowers are collected in large hemispherical inflorescences of dark red color. The diameter of the inflorescences is 11–13 cm. This variety belongs to the group of dahliaceae. 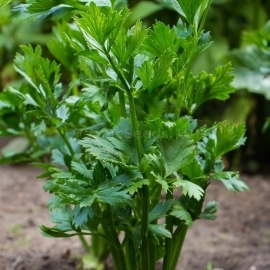 Annual plant, up to 40 cm high with creeping branches. Flowers are 3-4 cm in diameter. 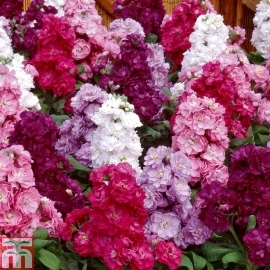 Their color is creamy, yellow, red, pink, purple and others. 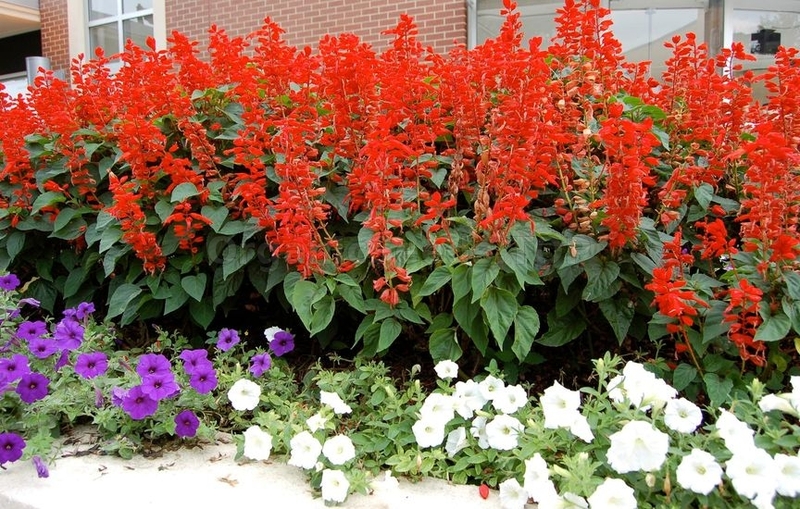 The color is abundant and long-lasting. 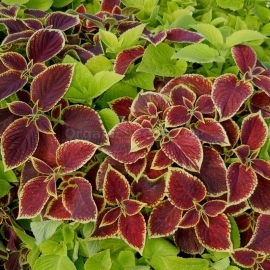 Remarkable foliage color, and easily grown from Coleus seeds, this annual mix is a reliable summer performer that gardeners depend on for their shady borders. The mix is extremely popular, and it includes a complete color range. 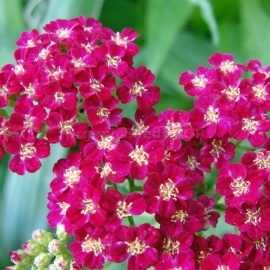 Red Yarrow is often called Common Yarrow, but the original flower colour was generally white or cream. 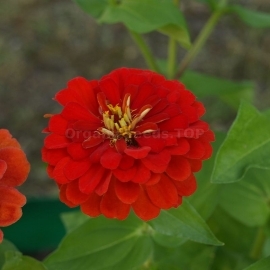 Today there are many modern cultivars with different flowers colours, including red. 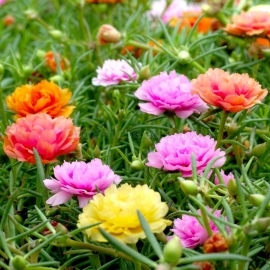 Moss Rose ‘Double Mix’ is an arrangement of several Moss Rose varieties that grow 10 to 20 centimetres in height and produce gorgeous double flowers. 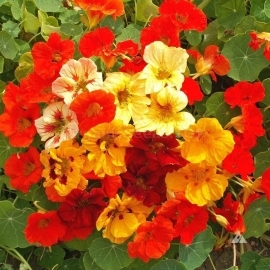 The flowers have a yellow centre and come in many a colour, which range from white to yellow to red. 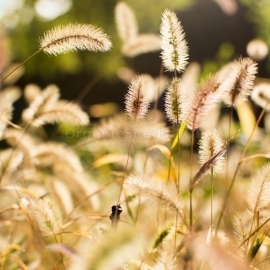 Setaria viridis is a species of grass known by many common names, including green foxtail green bristlegrass, and wild foxtail millet. It is sometimes considered a subspecies of Setaria italica. 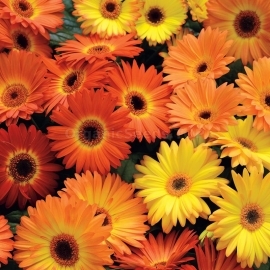 With their spicy, clove-like scent, and tall sturdy stems, these stocks make fantastic cut flowers that bring fragrance and colour to your home. This stunning series, with its large, showy semi-double flowers has earned recognition for their attractive unusual semi-double flower form. 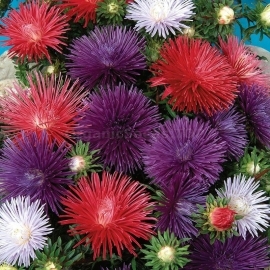 They are best grown in 5" pots or larger for the best display at retail. Mid-season variety. Vegetation - 80-88 days. The length of the main lash 3-4 meters. 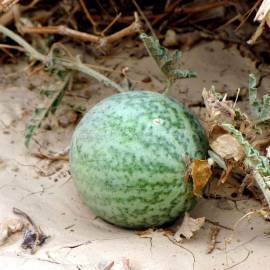 The fruits are round, large, with an average weight of 4-5 kg, sometimes reaching 14-18 kg. Bark 1-1.8 cm thick, green, with dark green stripes. A mid-early variety with uniquely colored fruits. Its name translates to "Irish liquor". 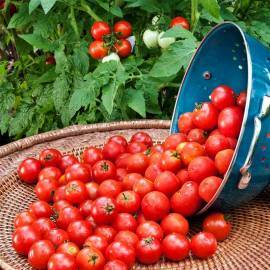 Visibly bigger harvest can be reached when grown indoor. Juicy fruits with outstanding slightly sour, sweet flavor and citrus aroma grow up to 200-250 g.
Mid-ripening, very fruitful variety. Received from crossing Green Sosij and Cherokee Purple. 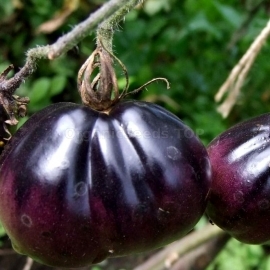 The bush is neat, with drooping foliage, with a height of up to 2 m. Fruits are fleshy, dark purple elongated cream with a spout, very beautiful color and shape. Americke pyramidni is considered a OP (open polliated) cultivar, this variety typically produces fruit in the following colours: Deep carmine pink. The sponges obtained from the Thai Extra Long are more coarse than its cylindrica counterpart, making this gourd a perfect foot or dishpan scrubber. 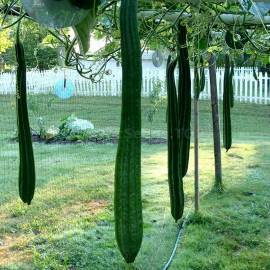 The gourds depicted average about 2 m long. These are monstrous! 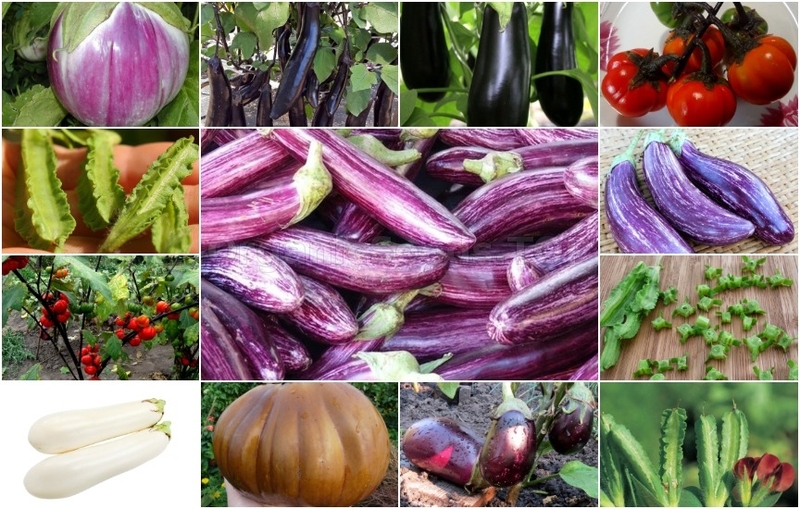 Early ripening variety (105 days). The plant is strong, up to 80 cm high. 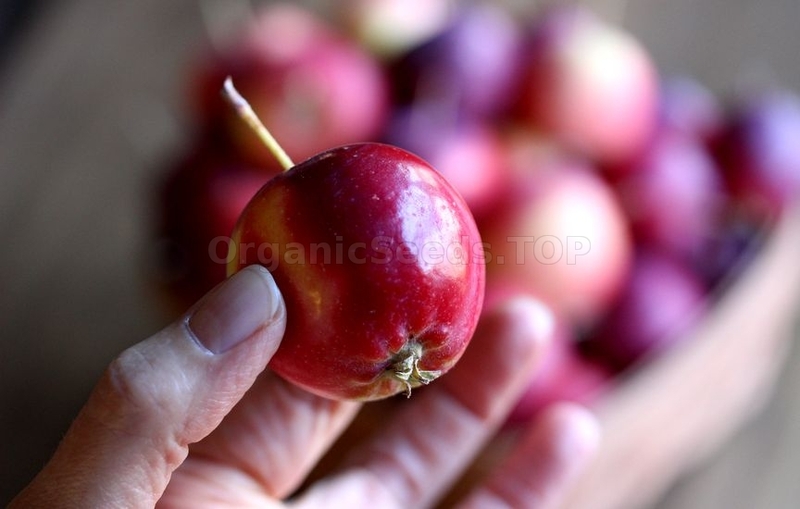 Fruits are round, pink-green in blue stripes, weighing up to 150 grams. The flesh is pink, sweet, juicy. Ideal for preservation and exotic salad. 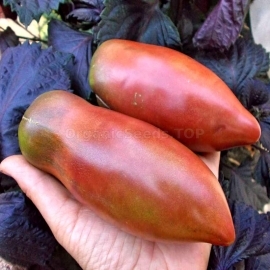 This is such a pretty tomato, coupling great flavor with the purple colored anthocyanin, which makes it rich in healthy antioxidants, it has quite a bit of purple color throughout the plant, the color is intensified in cooler temps. 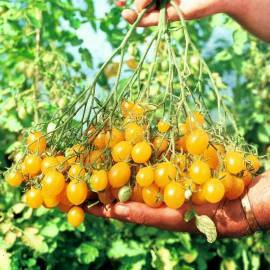 Ildi is often sold commercially in farmer's markets as Yellow Grape, these yummy tomatoes usually produce till frost, a great cherry tomato choice for serving in salads or snacking off the vine, like eating candy. 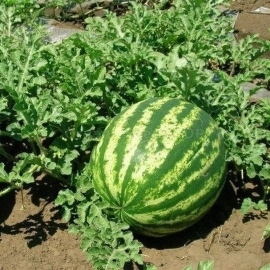 Citrullus colocynthis, also known as bitter cucumber, is a fruit-bearing plant sometimes used medicinally, citrullus colocynthis is used to treat diabetes, since it may be able to induce insulin secretion from the pancreas after supplementation. A unique and fun-to-grow heirloom, passed down to food historian William Woys Weaver from his Mennonite grandfather’s seed collection. This variety was once grown for exhibiting at county fairs in Pennsylvania, according to Mr. Weaver.